An increasing number of children with Down syndrome are being diagnosed as also having autism or autistic spectrum disorder (ASD). Research is exploring the prevalence and the characteristics of autism and autistic spectrum disorders in people with Down syndrome, and informing more reliable diagnosis. More research is needed to better understand these dual diagnoses and to identify effective ways to support development and learning for these children. 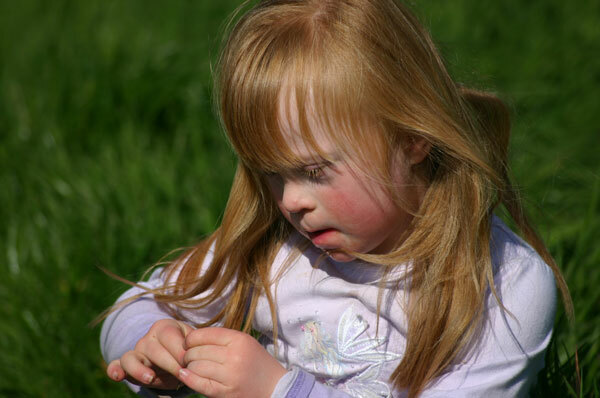 An increasing number of children with Down syndrome are being diagnosed as also having autism or autistic spectrum disorder (ASD). Autism is a complex disorder and children with the diagnosis do not all have the same symptoms or difficulties. [1,2] Those with autism are at the more severely affected end of the ASD spectrum. There have been a number of recent studies reporting varying rates of autism among children with Down syndrome possibly because of different diagnostic measures and different numbers of children in the studies. These suggest that about 16-19% of children with Down syndrome also have ASD and some 8-9% have autism, although some indicate higher rates. 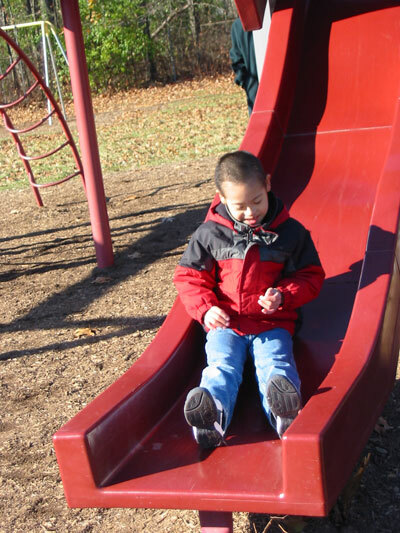 While there is now no doubt that children with Down syndrome can also have ASD, it is not clear that the pattern of symptoms that they show are the same as other children with ASD. A recent UK study with the largest sample of children with Down syndrome and ASD evaluated to date (183 participants) illustrates this. Children with both Down syndrome and ASD showed less impairment on the Communication Domain in imitation, use of gestures and imitative social play than individuals with ASD but not Down syndrome. On the Reciprocal Social Interaction Domain, children with Down syndrome and ASD showed less impairment in eye gaze, social smiling, shared enjoyment, offering comfort, social overtures and response to other children's social approaches. However, on the Restricted, Repetitive and Stereotyped Patterns of behaviour there was only one difference. The children with Down syndrome and ASD showed a greater tendency to exhibit compulsions or rituals than the other children with ASD. Otherwise they showed the same behaviours as others with autism. Children with Down syndrome may also show behaviours associated with ASD even though they do not have ASD. For example, another UK study reported that compulsive behaviours, insistence on sameness and restricted preferences were as common in children with Down syndrome without ASD as in those with ASD. These behavioural traits could lead to incorrect diagnoses of ASD for some children with Down syndrome. A better understanding of the prevalence and characteristics of ASD and autism among children with Down syndrome is helping families and professionals recognise and diagnose the condition more accurately, and to recognise the differences between autism in children with Down syndrome and among otherwise typically developing children. Research suggests that repetitive behaviours, liking sameness and restricted preferences are common behaviour traits in all children with Down syndrome - with and without ASD - and therefore, on their own, not indicative of autism. Research suggests that parents and practitioners should make full use of the children's social strengths and strengths in imitation and gesture to develop their social interaction and communication skills in the early years. Hepburn, S. & Fidler, D. (2013) What autism looks like in a child with Down syndrome: the behavioural phenotype. Chapter in M. Froehlke, M. & R. Zaoborek. 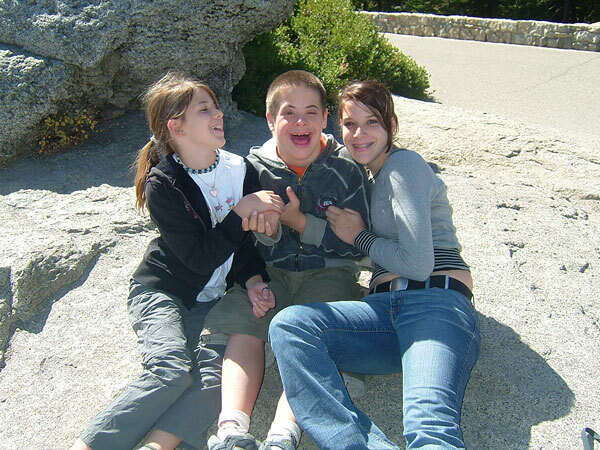 When Down syndrome and autism intersect: a guide to DS-ASD for parents and professionals. Woodbine House. Warner, G., Moss, J., Smith, P. & Howlin, P. (2014) Autism characteristics and behavioural disturbances in ~500 children with Down's syndrome in England and Wales. Autism Research 7, 433-441. Hepburn, S., Philofsky, A., Fidler, D & Rogers, S (2007) Autism symptoms in toddlers with Down syndrome: a descriptive study. Journal of Applied Research in Intellectual Disabilities, 21 (1) 48-57. Moss, J., Richards, C., Nelson, L. & Oliver, C. (2013) Prevalence of autism spectrum disorder symptomatology and related behavioural characteristics in individuals with Down syndrome. Autism, 17, 390.